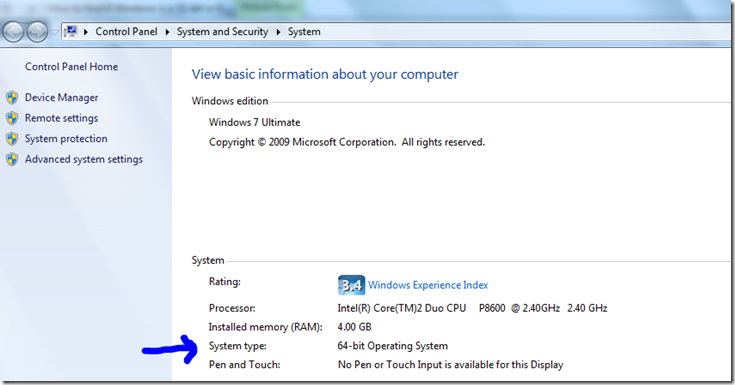 Is your PC running 32 bit Windows or 64 bit Windows? In order to run our Proxy PC remote assistance program and for a few other situations it is important to understand which version of Windows you are running on your PC. We've put together this handy set of instructions to help you discern which version you have. 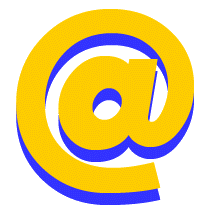 If you need to install our Proxy PC software please click here. 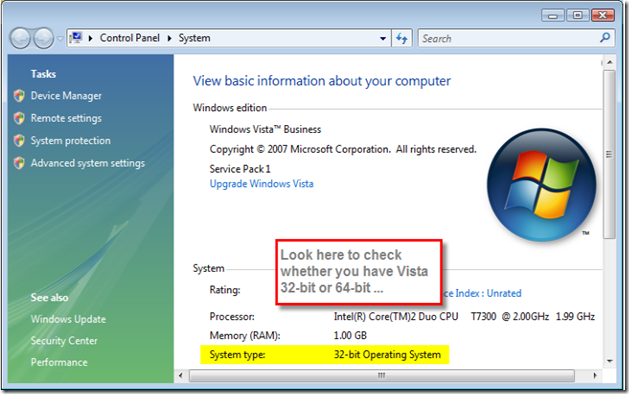 Follow these steps to determine if you have a 32 bit or 64 bit operating system. 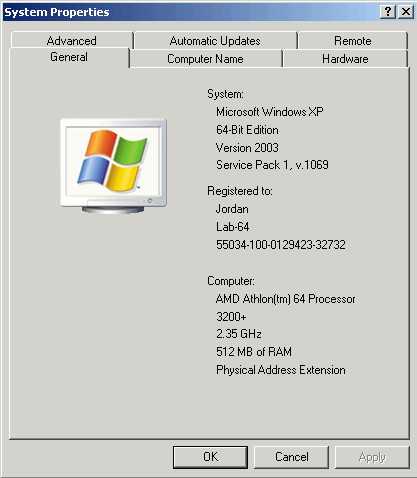 For a 64-bit version operating system: Windows XP Professional x64 Edition Version < Year> appears under System. For a 32-bit version operating system: Windows XP Professional Version <Year> appears under System. Note <Year> is a placeholder for a year. 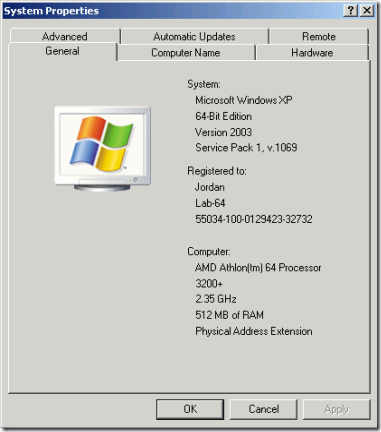 If you’re running the 64-bit version of Windows XP, the system information will be displayed as illustrated in the graphic below. 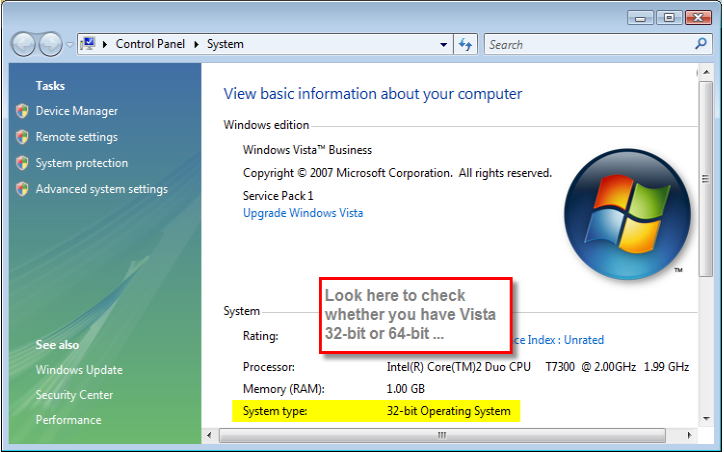 If the 32-bit version is running on your computer, only "Microsoft Windows XP Professional" or "Microsoft Windows XP Home Edition" is displayed with no indication of 32-bit or 64-bit. Type winmsd.exe, and then click OK. When System Summary is selected in the navigation pane, locate Processor under Item in the details pane. Note the value. If the value that corresponds to Processor starts with x86, the computer is running a 32-bit version of Windows. 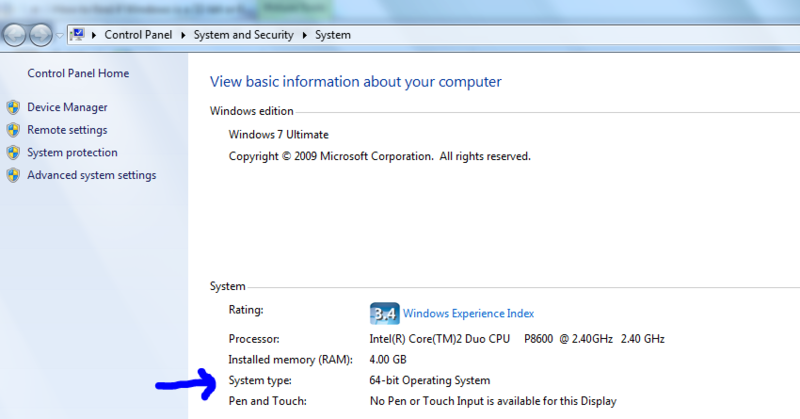 If the value that corresponds to Processor starts with ia64 or AMD64, the computer is running a 64-bit version of Windows. Click Start , type system in the Start Search box, and then click system in the Programs list. or Click Start Menu > Control Panel, > System & Maintenance > System. For a 64-bit version operating system: 64-bit Operating System appears for the System type under System. For a 32-bit version operating system: 32-bit Operating System appears for the System type under System. Click Start & type system in the Start Search box, and then click System Information in the Programs list. For a 64-bit version operating system: x64-based PC appears for the System type under Item. For a 32-bit version operating system: x86-based PC appears for the System type under Item. Don’t wait for the next disaster! Put Assurance Technology in charge of your IT and we guarantee your business will run more efficiently than ever before. If you have any questions about our services or would like to schedule your free network audit, why not drop us a line?